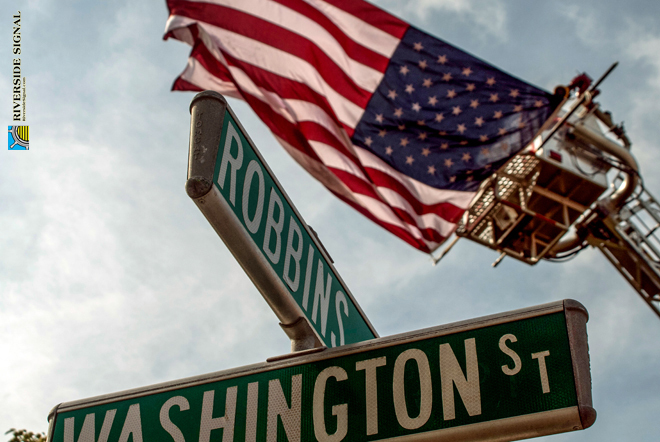 TOMS RIVER – Thirteen years after the September 11th terrorist attacks stole nearly 3,000 lives and scarred the American psyche for at least a generation, Toms River-based Rev. 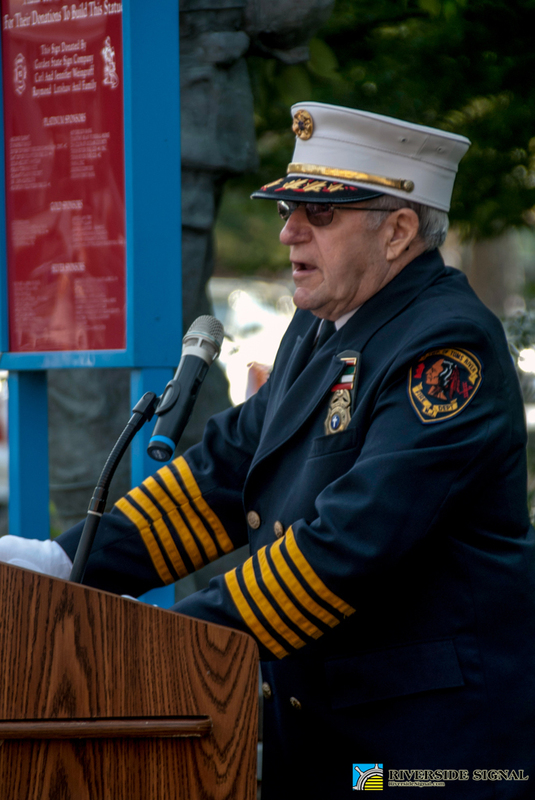 Anthony Lipari on Thursday faced a modest crowd of mostly local first responders during the annual Toms River Volunteer Fire Company No. 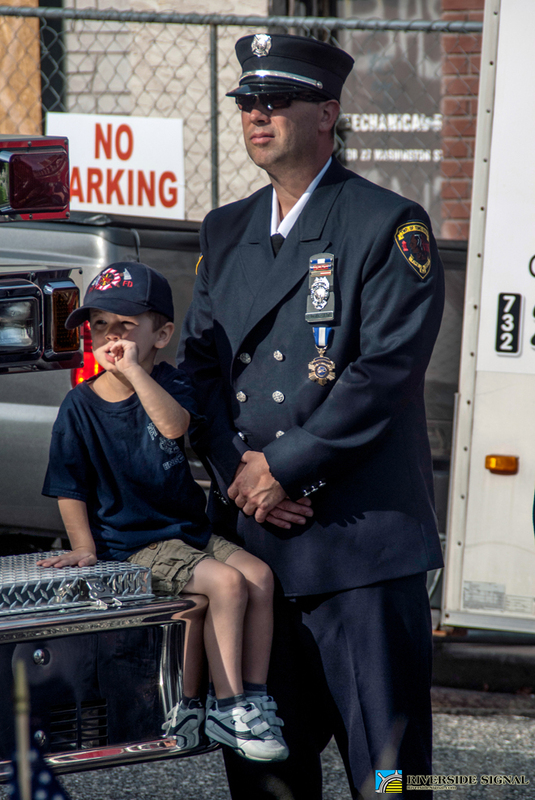 1 memorial ceremony and stated that although he’s “been hearing that people are tending to forget” about the importance of that day, he was emboldened by the service of today’s emergency personnel and military who keep its memory and spirit alive in their hearts. Held on the corner of Washington and Robbins streets here, the remembrance ceremony drew township officials, fire company and police department members and several dozen area residents who reflected upon that day so close in memory for those old enough to have experienced it yet, as evidenced by the groups of disinterested teenaged students heading to lunch from nearby Toms River High School South, a fading history lesson for others. The reverend also shared his memory of that day. 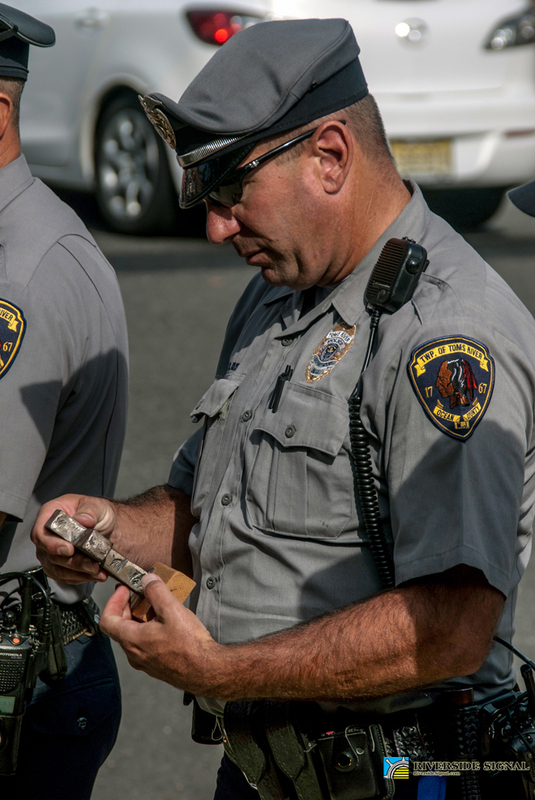 While spending the next four days in the city, he stated he was asked by Nutley officials to speak to the children of the town that Friday night. He added that he performed approximately 25 funerals for victims of the attacks. 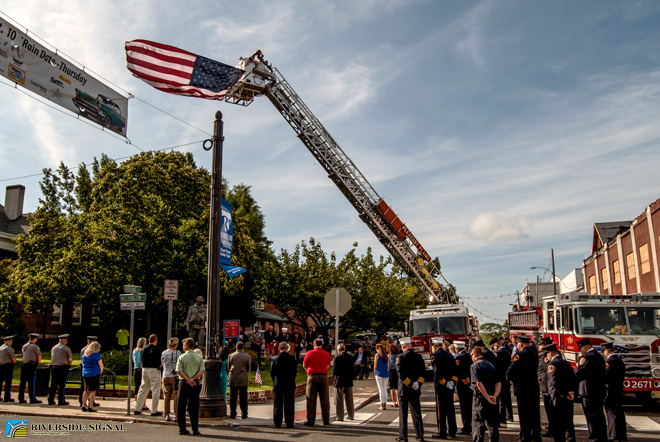 The small but heavy steel cross mounted on wood was then passed among those present, from township officials to fire company members to police officers. 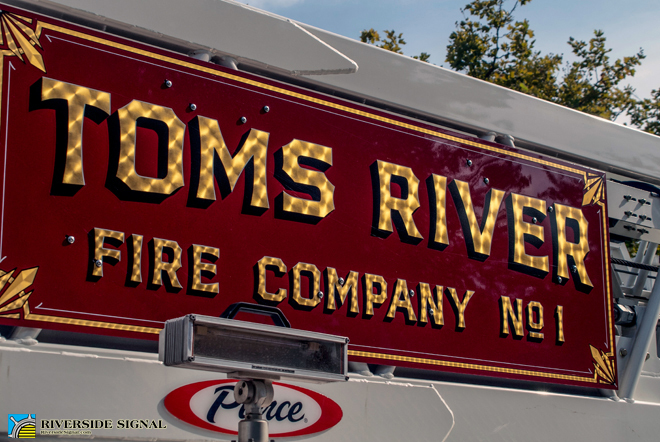 Toms River Fire Company No. 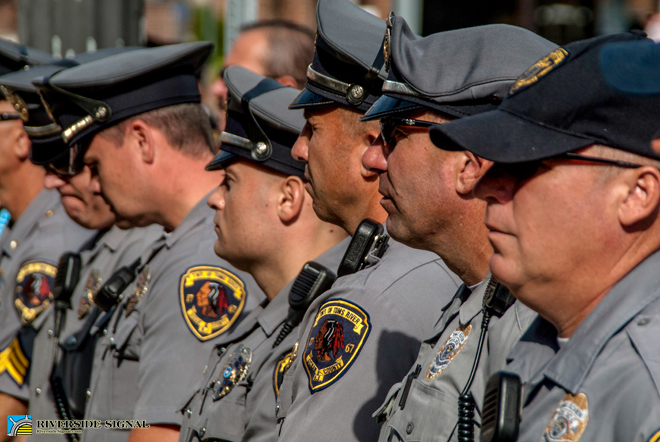 1 Chaplain Richard Beck recounted in detail the historic facts of that day and noted that prior to 2001, September 11th was recognized in four states to commemorate the Revolutionary War battles of Lexington and Concord. 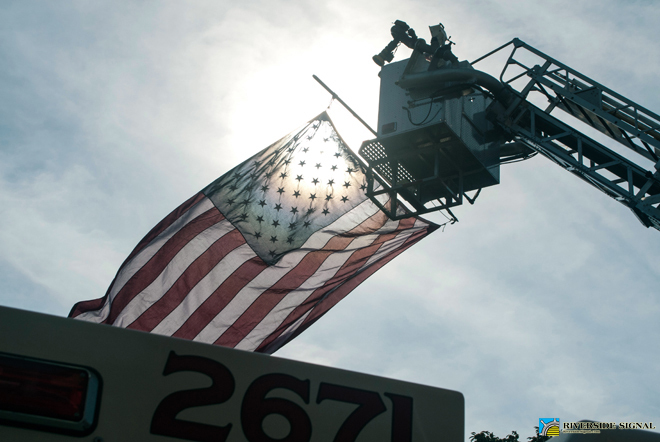 He added that four firefighters in their company – Michael Dwyer, Brian Durkin, John Daniel Mount and Kyle Gervasio – were currently serving in the military. Assistant Chief John Genovese noted that Chief John Mount was unable to be present at the day’s ceremony because he was at Fort Bliss in Texas welcoming home his son, John Daniel, a private first class serving in the infantry. Councilman Maurice B. 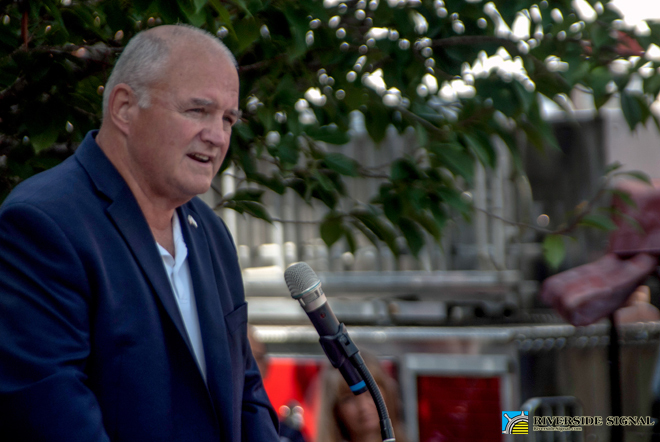 “Mo” Hill, a retired rear admiral with the Navy, spoke on what draws Americans together as a nation and the fight still ongoing in the Middle East. 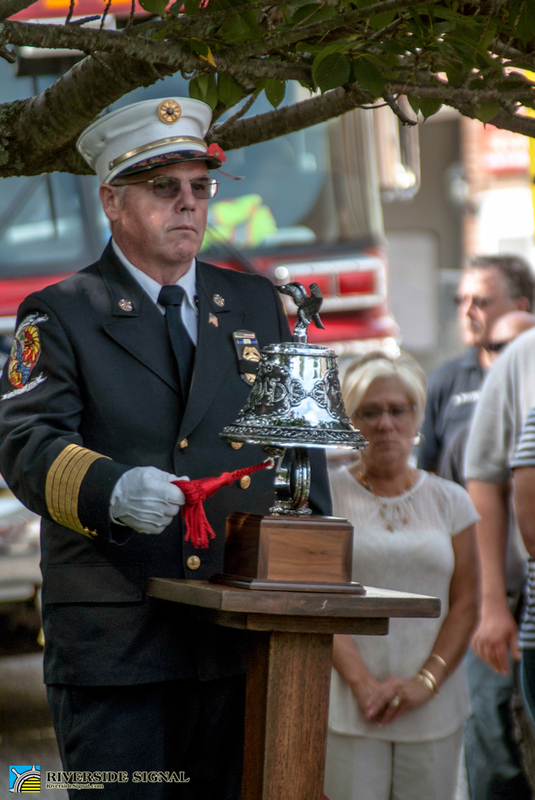 At the close of the ceremony, past fire company chief, Mark Autenrieth sounded a fire bell to signal the passing of those lost in the September 11th attacks, Silverton Volunteer Fire Company Asst. 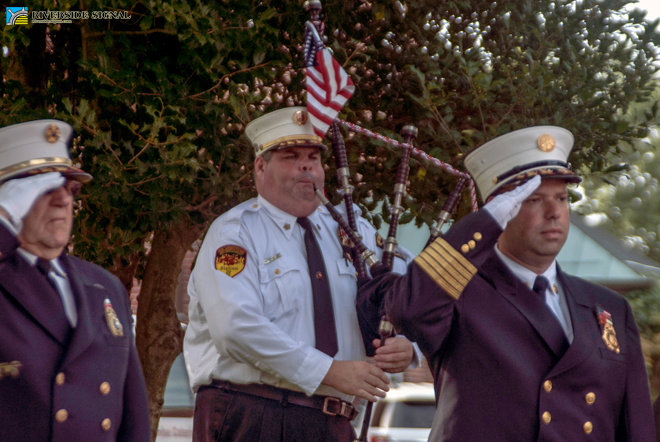 Chief Robert Sinnott played “Amazing Grace” on bagpipes, Rev. 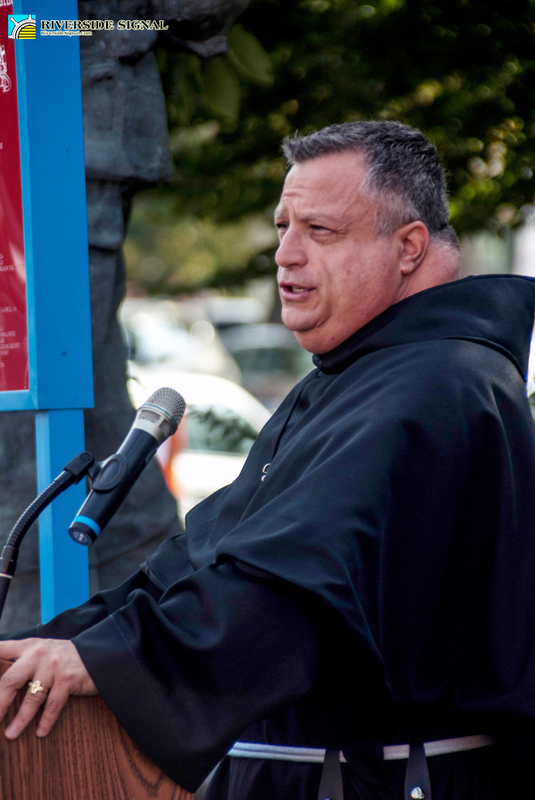 Lipari gave benediction and the fire company siren was sounded once.